Today, I announced publicly that I established a new web address for the Sigma Phi Epsilon Nevada Alpha Alumni to call home. 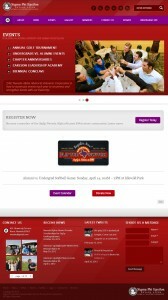 As an alumnus of Sigma Phi Epsilon, this website project was near and dear to my heart. The new website, located at http://nvalpha.org/, is housed on a WordPress platform and utilizes a them found from http://themeforest.net and several plugins from http://codecanyon.net/. Submit an article for submission as news about yourself or a fellow alumnus. This is just a brief overview of the site and its capabilities. 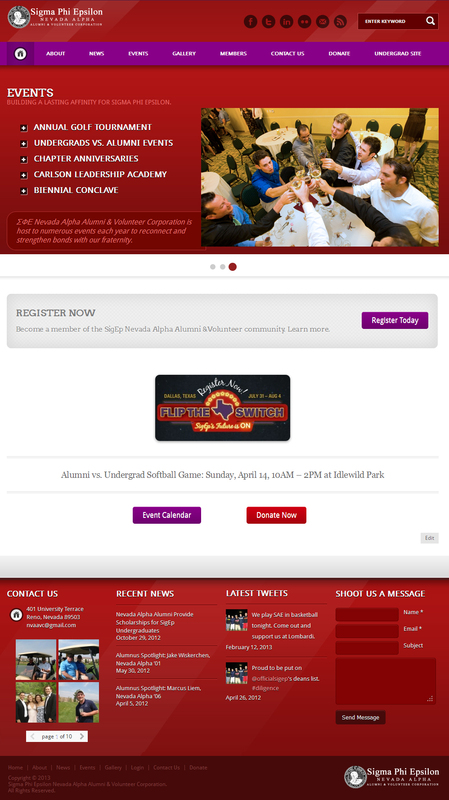 We, as alumni that are a part of the Sigma Phi Epsilon Nevada Alpha Alumni & Volunteer Corporation, can always add onto the site with such modules as adding a forum, if there is a need for it in the future or perhaps a full-on business directory of where everyone works to share with the alumni base. Further, this site is based on a “responsive” design which means that the site is both mobile and tablet browser-friendly. How it works is there is specific coding in the CSS stylesheet to produce a different look and feel when difference screen resolutions are present. You can symbolize the effect by holding your Control key on your keyboard and using the scroll wheel on your mouse, you can scroll up to decrease the screen resolution; essentially increasing the size of things on your screen. You can return it to normal by hitting CTRL + 0 and it will return it to your normal browsing resolution. I am very pleased with the turnout of this site and just wanted to share my results with you here on WillHull.com. Even though I didn’t design this site from scratch; using a blank Adobe Photoshop document and hand coding, it did take some skill with aesthetics and code to modify the theme to suit the needs of our organization. It is my hope that this professional presence will attract new volunteers as well as donations to support the undergraduate chapter in both the form of scholarships as well as purchasing the house that the chapter is currently renting. So what do you think? Will this serve the needs of the alumni base of this Sigma Phi Epsilon Nevada Alpha chapter?